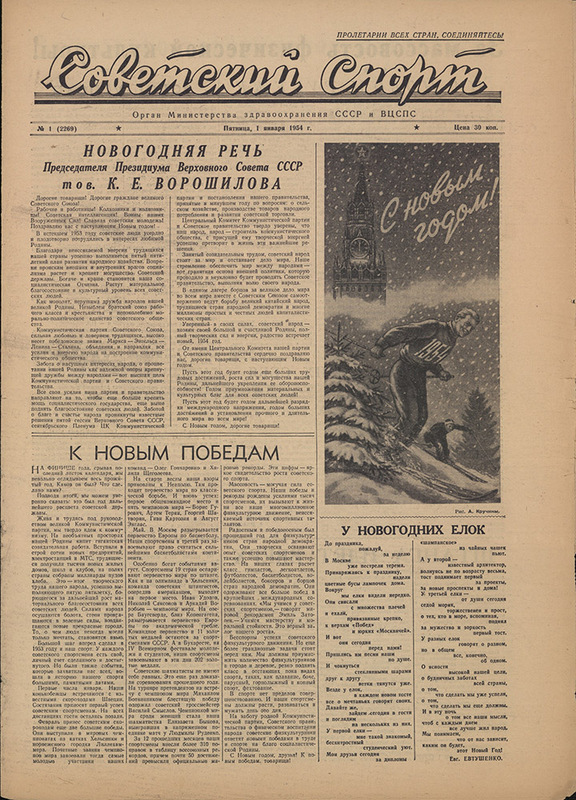 Sovetsky Sport is a daily newspaper first published by the USSR State Committee for Physical Culture and Sport in 1924, now by the Russian Olympic committee. 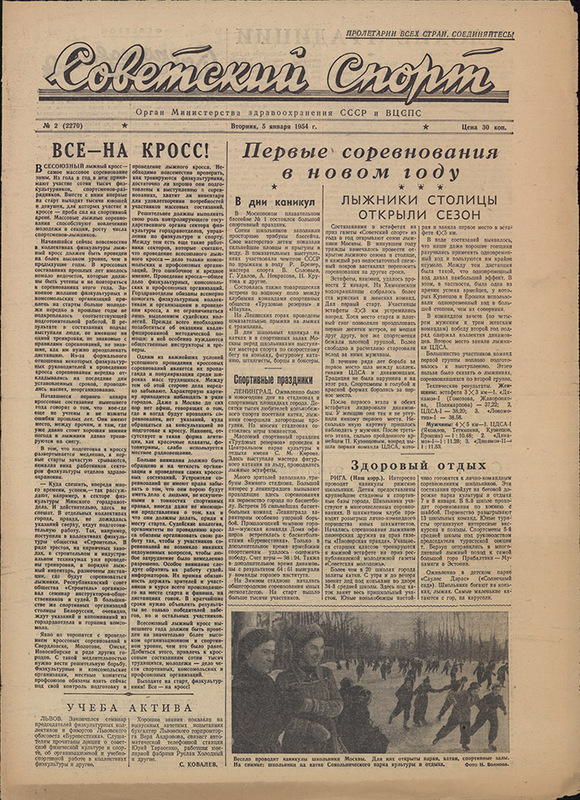 In its original incarnation, the paper provided coverage of international sporting events, interviews with athletes, and other articles which advocated for the type healthy lifestyle that was highly prized by Soviet ideology. 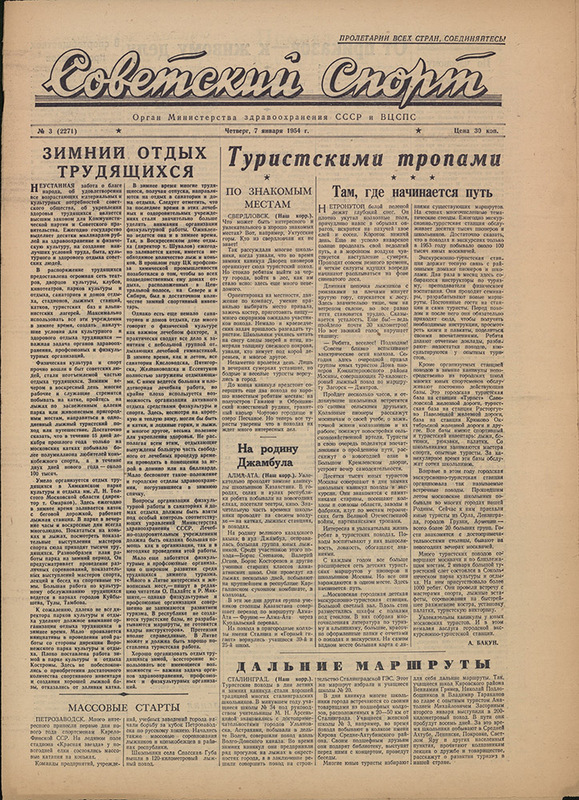 At its height, just before the end of the Soviet Union, the newspaper had a circulation of five million, and was distributed in over 100 countries. The Dickinson Archives has a complete run of the paper from January 1, 1954 to December 29, 1955. There were 156 editions published each year, spanning from no. 2269 to no. 2580. Soviet Union: Komitet po fizicheskoi kul’ture i sportu, 1954-55.